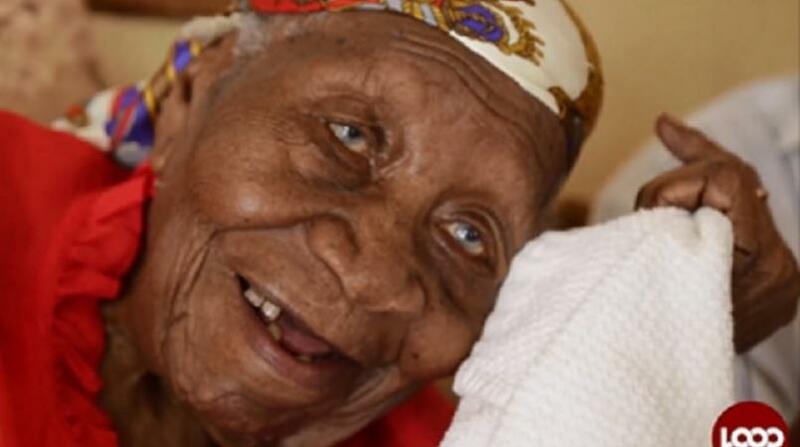 Super centenarian, Millicent Yearwood, celebrated her 110th birthday on July 20, 2017. How does 110 years on earth feel? 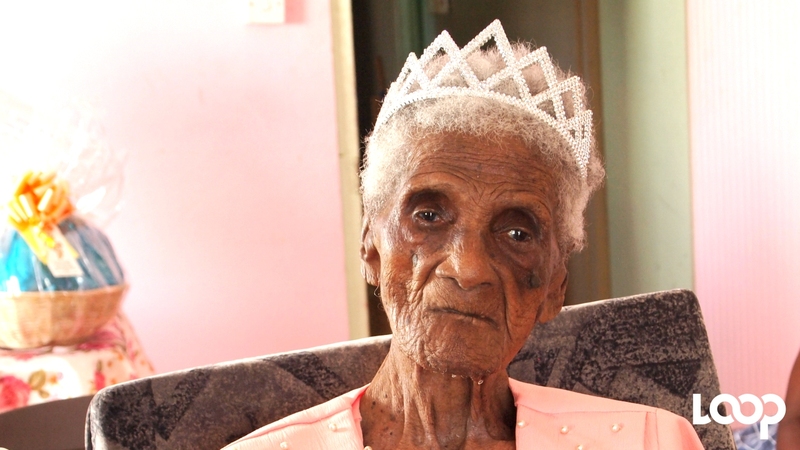 The best person to answer that question would be Millicent Yearwood, Barbados’ lone super-centenarian who celebrated the momentous milestone on July 20, 2017. The sight of a centenarian often leads people to wonder ‘how did they live so long’ and certainly the questions burns ever more for someone at one century and ten. 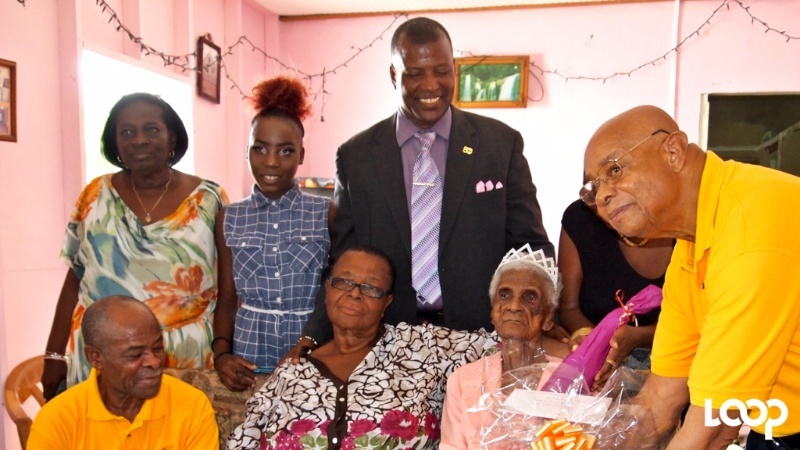 Loop had the opportunity to sit with Yearwood, her family and friends at her Fitts Village, St. James home to wish her the happiest of birthdays and to learn some secrets on how to live such a long and prosperous life. Yearwood’s physical health is relatively good considering her age – she can walk, with assistance usually from her 17-year-old great-granddaughter, Rayanne Archer; she sees well and can still hold a tune, with gospel songs being her genre of choice. Her hearing and speech, however, are severely impaired but she remains quite alert and attentive. Unlike many of her era, Yearwood did not have many children, having just one daughter at 40 years old. The now 70-year-old Mavis Small-Raper entertained the gathering with stories from the past and recounted the fondest memories of ‘Mum’. Born in 1907, Yearwood took up a job which was common at the time, a plantation labourer, and spent most of her working years on Mount Wilton plantation and Lion Castle plantation in St. Thomas. She was also a hawker in Bridgetown, known for selling the best “ground food” as she plied her trade from Nelson Street, The City on Fridays and Saturdays. 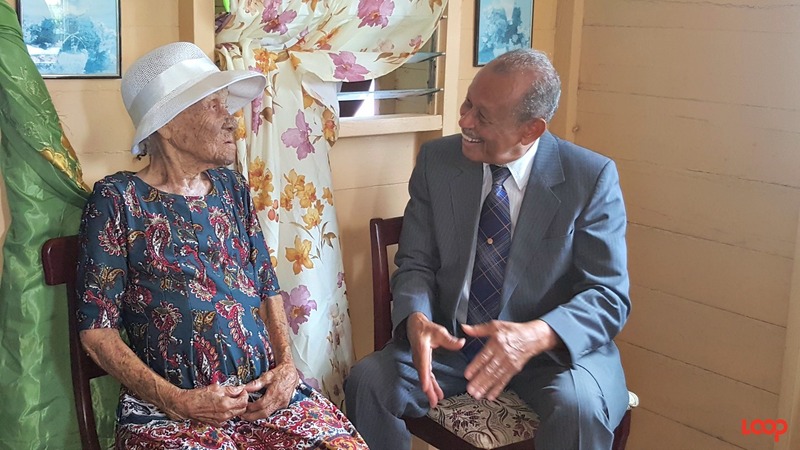 Yearwood was born in Maynard’s Tenantry in St. Joseph and she gladly traversed the distance every day to and from work by foot – one of the factors which perhaps contributed to her long life. When she was in her prime, her daughter said, Yearwood’s day would usually start around 3 a.m. at which time she would wake to prepare herself for work. When cane season was in, Yearwood worked right alongside the men, cutting, bundling and piling cane onto the truck, though one would never have guessed all this strength could rest in such a small statured woman. Small-Raper explained her mother never received any formal schooling and to this day Yearwood is unable to read or write. But because of her work there is no one who can calculate money as well as she can, a point which Small-Raper noted as she looked dotingly on her mother. Millicent’s dedication to the Christian faith has held fast for as long as her life and up to present day she is a devout member of the Church of God in Welchman Hall, St. Thomas where she did janitorial work. As it relates to eating habits, Small-Raper said her mother’s diet consists of “whatever the plantation used to grow” adding her mother was never sold on rice or pasta dishes. She said she remembers fondly cou-cou and steam fish was the dish of choice her mother liked to prepare along with others such as sweet potatoes. Bush medicine was the popular remedy at the time and Small-Raper recalled her mother regularly used cerasee bush and others to treat illnesses. Yearwood’s only ailment, her daughter said, was arthritis and affirmed her belief that her mother’s use of bush medicine has benefited her greatly. 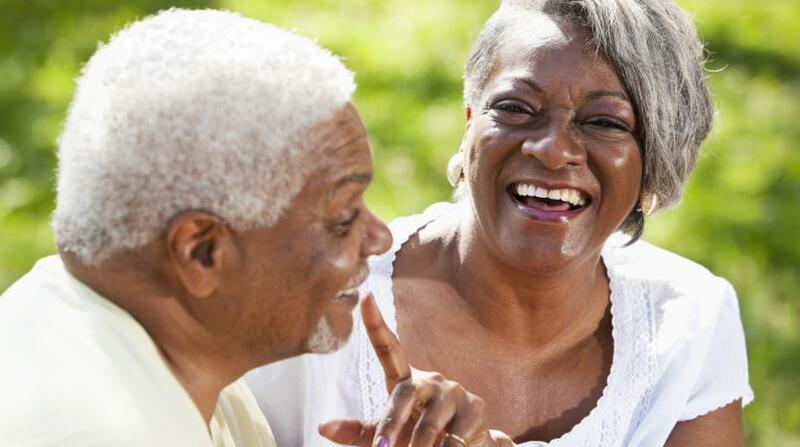 Diet was not the only thing Yearwood was strict about, as her daughter recalled discipline was a key element of their household growing up and also in the care of her seven grandchildren, 20 great-grandchildren and six great-great-grandchildren. She described her mother, the longest-living relative of six siblings, as a “strong woman” who still possessed a good singing voice. Yearwood proved her right when she delivered a rendition of ‘Trust and Obey’ and ‘How Sweet the Name of Jesus’. 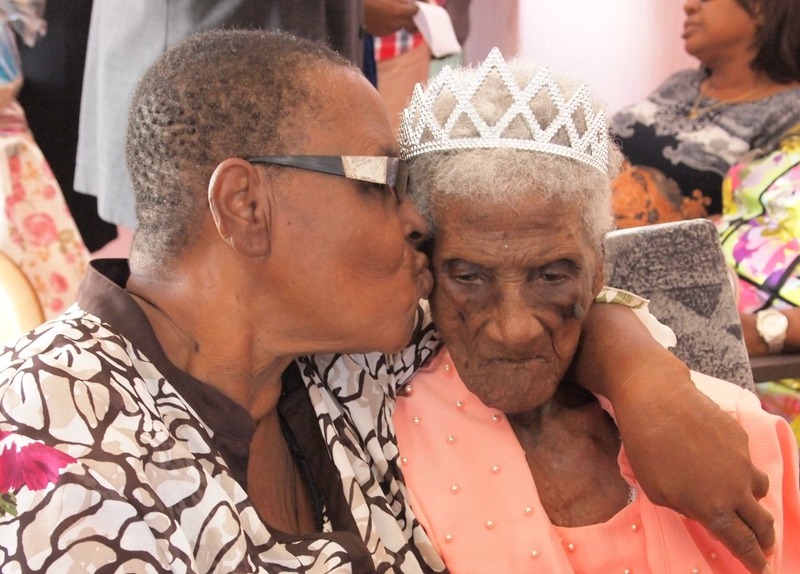 Yearwood’s achievement as a super-centenarian will be recorded in the department of Gerontology in Los Angeles, USA along with Barbados’ two other super-centenarians, Emily Clarke and James Sisnett, who died in 2013 at 110 years old and 113 years old respectively. Members of the National Committee on Ageing present a gift to 110-year-old Millicent Yearwood on her amazing milestone birthday, as family members look on.